Nico Bartolomeo, son of Joseph and Jennifer Bartolomeo, has been awarded a Pewaukee Alumni Association Scholarship. Nico plans to study mechanical engineering at Catholic University of America in Washington D.C.
Brooke Bero, the daughter of Patrick and Traci Bero, is the recipient of a Pewaukee Scholarship Fund award. Brooke will be studying dance at Point Park University in Pittsburgh, Pennsylvania. Dexter Blumberg, son of Tracy and Brenda Blumberg, is the recipient of a Pewaukee Scholarship Fund award. He will be studying in the College of Natural Resources at UW-Stevens Point. Rebecca Bowman, daughter of Dan and Sue Bowman, is the recipient of a Pewaukee Scholarship Fund award. She plans to major in special education at UW-Oshkosh. Benjamin Callen, the son of Edwin and Lori Callen, is the recipient of a Pewaukee Scholarship Fund award. Ben plans to major in biomedical engineering at Milwaukee School of Engineering or Marquette University. Rick Campbell, the son of Michael and Betsy Foss-Campbell, has been awarded the Margaret Schallitz Memorial Scholarship. Rick plans to study electrical engineering at Northwestern University in Evanston, Illinois. Andrea Carr, daughter of Richard and Joanne Carr, is the recipient of a Pewaukee Rotary Club Scholarship. She will study architecture and interior design at the University of Minnesota in Minneapolis. Amber Cefalu, the daughter of Susan Gross, has been awarded the Joseph Ryan Memorial Scholarship. Amber plans to study electrical engineering at the University of Minnesota – Twin Cities. Sarah Chang, daughter of Sung Soo and Kyung Sook Chang, is the recipient of the Pewaukee School District Administrators’ Scholarship. Sarah plans to major in elementary education at the DeKalb University in Chicago, Illinois. Eric Colwell, the son of Peter and Jennifer Colwell, has been awarded the Pewaukee Board of Education Scholarship. He will be studying actuarial sciences at UW-Madison. Christina Cotey, daughter of Thomas and Rebecca Cotey, has been awarded an American Legion Scholarship. Christina plans to major in exercise physiology at Marquette University. Jeffery Debbink, the son of Jon and Denise Debbink, is the recipient of a Pewaukee Scholarship Fund award. Jeffery intends to major in accounting at Concordia University in Mequon, Wisconsin. Natalie Domack, the daughter of Kevin Domack, has been awarded the John Tall Memorial Scholarship. Natalie will be studying nursing at Edgewood College in Madison. Olivia Dubiel, daughter of William and Kathleen Dubiel, is the recipient of a WaterStone Bank Scholarship. She plans to major in English with teaching certification at UW-LaCrosse. Olivia Fahey, the daughter of Paul and Kristine Fahey, is the recipient of a Pewaukee Scholarship Fund award. She will major in pre-pharmacy at UW-Madison. Trevor Franda, son of Anthony and Jennifer Franda, has been awarded the Dorothy M. Brouwer Memorial Scholarship. Trevor intends to study math and business at UW-Madison. Erin Gallert, the daughter of Patrick and Lisa Gallert, is the recipient of a Pewaukee Scholarship Fund award. Erin plans to study research psychology at the University of Minnesota – Twin Cities. Jennie Halverson, daughter of Bob and Ann Halverson, has been awarded an American Legion Scholarship. She plans to study space physics at Embry Riddle Aeronautical University in Prescott, Arizona. Kristin Hegna, the daughter of Kirk and Barbara Hegna, is the recipient of a Pewaukee Scholarship Fund award. Kristen intends to major in pharmacy at St. Louis College of Pharmacy in St. Louis, Missouri. Cameron Hehn, son of Rose Hehn and Kevin and Robin Hehn, has been awarded the Stanek Tool Scholarship. He plans to study mechanical engineering at the University of Minnesota – Duluth. Hailey Henck, daughter of Steven and Lynn Henck, has been awarded the Fraland and Eileen Campbell Scholarship. Hailey intends to study biology, with an emphasis in zoology, at UW-Parkside in Kenosha, Wisconsin. Amanda Jablonic, the daughter of Mark and Vickie Jablonic, is the recipient of a Pewaukee Scholarship Fund award. She will be studying pre-medicine at UW-Madison. Anna Kaisler, daughter of Robert and Patricia Kaisler, is the recipient of a Pewaukee Scholarship Fund award. Anna plans to major in the field of dietetics or nutrition at UW-Stevens Point. Ryan Kesler, the son of Kim and Toni Kesler, has been awarded a Pewaukee Kiwanis Club Scholarship. Ryan will be studying in the pre-medical program at UW-Madison. Mitchell Knutson, son of Kris and Julie Knutson, is the recipient of a Pewaukee Alumni Association Scholarship. He will be studying business finance at the University of Minnesota – Twin Cities. Courtney Koplien, daughter of Craig and Maureen Koplien, has been awarded the Hans Wienss Memorial Scholarship. She plans to study kinesiology at the University of Minnesota – Twin Cities. Larissa Leist, the daughter of Paul and Kerry Leist, is the recipient of a Pewaukee Scholarship Fund award. Larissa plans to pursue a degree in business at UW-Waukesha. Brad Lenz, the son of Donald and Sandra Lenz, has been awarded a Pewaukee Kiwanis Club Scholarship. Brad plans to major in business at the University of Minnesota – Twin Cities. Alexa Lodise, daughter of Dennis and Monica Lodise, is the recipient of a Pewaukee Scholarship Fund award. She plans to study biomedical engineering at the University of Minnesota – Twin Cities. Bradley Miller, son of Joe and Karen Miller, has been awarded a Quad Graphics Scholarship. He plans to study engineering at UW-Madison. Jessica Mohr, the daughter of Rick Mohr, has been awarded the M. Van Hulle Honorary PSF award. Jessica plans to pursue a degree in nursing at UW-Eau Claire. Samantha Peterson, daughter of Russ and Sally Peterson, is the recipient of a WaterStone Bank Scholarship. She plans to major in early childhood education at Waukesha County Technical College. Bethany Reuter, daughter of Tim and Marie Reuter, is the recipient of a Pewaukee Scholarship Fund award. Bethany will be studying nursing at UW-Eau Claire. Raeleah Schaeffer, the daughter of James and Barbara Schaeffer, has been awarded a Pewaukee Kiwanis Club Scholarship. She plans to study business at UW-Madison. 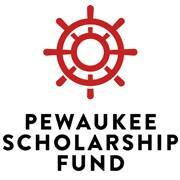 Jesse Schoenike, son of Jon and Colleen Schoenike, is the recipient of a Pewaukee Scholarship Fund award. He intends to pursue a career path in science or mathematics at UW-Madison. Ellen Sellers, the daughter of Catherine Sellers, is the recipient of a Pewaukee Scholarship Fund award. Ellen plans to major in political science at UW-Madison.